A common approach federal authorities use to investigate health care fraud is through civil investigative demands (CID). CIDs are requests for documentation that prosecutors issue in connection with a federal investigation. Compliance with CIDs is required regardless of whether the recipient is charged with a violation or is personally under investigation. In the context of health care fraud, CIDs often focus on violations of the Anti-Kickback Statute, the False Claims Act, and Stark Law. This article outlines common types of health care fraud investigations and the process for responding to a CID. Many health care fraud investigations focus on the payment of kickbacks for referrals to medical service providers. Common kickback arrangements include paying doctors for referring patients to particular pharmacies, laboratories, or medical equipment distributors, or compensating patients for utilizing particular services or items, such as giving patients a gift card for ordering genetic testing or waiving a co-pay. Under the federal Anti-Kickback Statute (42 U.S.C. § 1320a-7b), it is a crime to take or receive any sort of remuneration in exchange for (i) the referral of an individual for an item or service for which payment may be made by a federal health care program or (ii) the purchase, lease, order, or arrangement for or recommendation to purchase, lease, or order any good, facility, service, or item for which payment may be made by a federal health care program. See 42 U.S.C. § 1320a-7b(b). In order to establish criminal violation of the Anti-Kickback Statute, prosecutors must demonstrate – beyond a reasonable doubt – that the defendant intended to violate the law. However, a violation of the Anti-Kickback Statute will occur even if just “one purpose” of a transaction is intended to induce referrals for items or services. See e.g., United States v. Greber, 760 F.2d 68, 72 (3d Cir. 1985), cert. denied, 474 U.S. 988 (1985). Therefore, the Anti-Kickback Statute will take effect under circumstances where an arrangement has multiple purposes and just one of them is unlawful. Id. 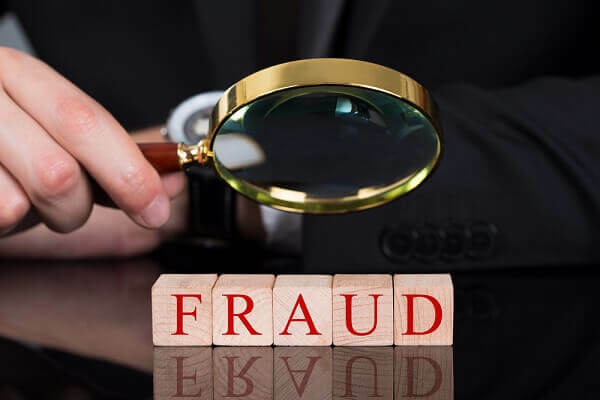 Experienced health care fraud defense attorneys may prevail against charges of violation of the Anti-Kickback Statute by showing that their clients made referrals based purely on their medical judgment and without regard to any compensatory incentives. Another successful method of defeating Anti-Kickback Statute charges is by proving that the transaction at issue fell within a “safe harbor” – one of the enumerated exceptions to the Anti-Kickback Statute. The federal civil False Claims Act (31 U.S. 3729) authorizes penalties of up to $ 21,916 per false claim in addition to recoupment requests, a monetary judgment of treble damages, payment of the government’s costs and fees for the prosecution of the case, and exclusion from federal health care programs. Most often, monetary penalties are imposed on companies, however, they may also extend to responsible individuals within the companies (e.g. CEO, CFO, COO, board members etc.). The government does not need to prove a defendant’s specific intent to violate the False Claims Act in order to prevail at trial. Under the False Claims Act, the government may prevail even if it cannot demonstrate that the defendant had actual knowledge that the transaction at issue violated the law. The criminal False Claims Act (18 U.S.C. § 287) authorizes a punishment of up to 5 years in federal prison as well as criminal fines. The Stark Law (42 U.S.C. § 1395nn), sometimes referred to as the Physician Self-Referral Law, limits a doctor’s ability to refer patients to medical service providers that the doctor or the doctor’s relative has a financial relationship with. The Stark Law is limited in scope to medical services that covered by Medicare or Medicaid, particular types of medical services, and numerous statutory exceptions. However, where it applies, the Stark Law is a strict liability statute. Penalties for violation of the Stark Law are civil in nature and include civil monetary penalties and exclusion from participation in federal health care programs. Unless and until you have been subpoenaed, you do not have to speak with federal investigators, and you should never speak with federal investigators unless you have a lawyer present for the interview. Your refusal of an interview cannot be held against you in future legal proceedings. In fact, to the contrary, if you do speak with investigators, that information will likely be used against you in the investigation. Regardless of whether the investigators requesting the interview inform you that you are a target of their investigation, you should assume that you are a target or a potential target and that the investigators are hoping to glean incriminating information from you during the interview. As soon as you learn that you are under a Stark Law investigation, you should avoid communicating about the facts of your case to anyone other than your lawyer. Any written records of communication, such as text messages, emails, or phone records, may be subpoenaed as evidence for the prosecution. Likewise, anyone to whom you provide evidence about your case may be subpoenaed to testify about that evidence at a grand jury proceeding or at trial. You should also avoid speaking about your case on social media or any other public forum, as federal investigators may obtain records of anything you post and use that as evidence against you. While Stark Law investigations are civil in nature, they can become criminal investigations if investigators suspect that a target is committing obstruction of justice. Investigators will consider any destruction of evidence to be obstruction of justice, which is punishable by prison time, probation, and criminal fines. Acts that constitute destruction of evidence include altering, deleting, or destroying electronic files, paper files, text messages, computer data, and voice messages. Breaking or throwing away electronic devices that contain information or files, such as phones or laptops, may also be considered destruction of evidence. Notably, the laws against destruction of evidence apply regardless of whether the government has requested the evidence at issue. Anytime you receive a CID, you should assume that you are under investigation by government agents. Although in some circumstances prosecutors may issue a CID to a business or individual that it deems a mere witness to an investigation, more often than not the recipient of a CID is a target of the investigation. Either way, any involvement in an investigation should be taken very seriously, as a witness may become a suspect if that witness does not handle the CID appropriately. Therefore, the first thing you should do if you receive a CID is contact a federal criminal defense attorney with experience handling government investigations. A federal criminal defense lawyer will prepare your CID response in a professional manner and will serve as an intermediary between you and the government so as to prevent you from incriminating yourself in the investigation. If you have received a CID request, contact Oberheiden, P.C. to discuss your situation. CID requests are not optional. You must not only respond to them in a timely manner, you must also take all reasonable measures to prevent the destruction of any potentially responsive documents. This obligation to preserve your documents commences as soon as you become aware of the CID request, and it covers both hard copy files and electronic documents. Therefore, you should immediately disable any auto-delete features of your email, voicemail, or document retention programs, and you should instruction all staff members to preserve all relevant documents. While the scope of CID requests vary greatly depending on the nature of the underlying investigations and the role of the recipient in the investigation, oftentimes CID requests implicate a huge amount of documents that may take enormous expenditures of time and resources to gather. Therefore, you should work with your attorney to assess the workload in front of you as soon as possible after you receive a CID request. In this way, you will be able to determine what needs to be done to collect the responsive documents and how long it will take you. If you determine that you will need an extension of your response deadline, your attorney may be able to negotiate this with the prosecutor, but you will be more likely to receive an extension if you can express why it is necessary and how much longer you will need. As noted above, preparing a response to a CID is often time consuming and resource intensive. Therefore, as soon as you have developed an assessment of your situation, you should get to work collecting documents and performing the necessary tasks to address your response. Importantly, your attorney will need to review all of the responsive documentation prior to your response, so you need to build in a few days to allow your attorney the opportunity to properly review and draft your CID response. In addition, you may need to request documentation from third party agents, such as your bank or your telephone company, and you should contact them with enough time to receive their responses prior to your CID response deadline. The sooner you start preparing your CID response, the more comprehensive your response will be. Do you have experience in health care fraud investigations? How many health care fraud representations resulted in no civil and no criminal liability? Are you familiar with CIDs? Are you a former federal prosecutor? How many clients have you represented at trial? Will a senior attorney be assigned to my case, or will I be walled off by junior attorneys and support staff? Call the Aggressive and Skilled Team at Oberheiden, P.C. If you have received a civil investigative demand, call Oberheiden, P.C. today for a free and confidential consultation. One of our senior attorneys will be standing by to answer your questions and discuss how we may be able to help you in our case.